The ARTBA Foundation’s certification program to test and recognize an individual’s knowledge of the core safety competencies on transportation project sites has earned the “gold standard” of professional credentialing. The Safety Certification for Transportation Project Professionals™ (SCTPP) program is now accredited by the American National Standards Institute (ANSI) under the ISO/IEC 17024:2012 international standard. 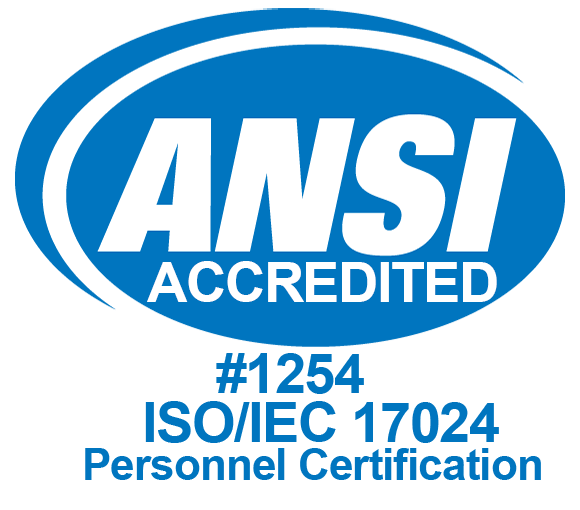 ANSI accreditation signifies the certificate holder has completed a prescribed course of study designed specifically to meet pre-defined industry requirements and that the program’s sponsor has met, and continues to meet, international standards for quality improvement. It distinguishes industry- or government-developed professional credentialing programs from “self-certified” certificate courses offered by organizations and private vendors. The approval by ANSI’s Professional Certification Accreditation Committee (PCAC) required the foundation’s submission of a 550-page application, rigorous audits of its management systems and psychometric procedures, and detailed examination of the test’s development and administrative processes. “This is a major development,” said SCTPP Commission Co-Chair Ross Myers, the chairman & CEO of Pennsylvania-based Allan Myers. Launched in late 2016, the SCTPP is aimed at the thousands of project supervisors, foremen, inspectors, planners and designers who are in decision-making positions from a project’s inception through completion. Industry-leading firms and organizations involved in the program’s development include: Zachry Construction, Lane Construction, Granite Construction, the Kiewit Infrastructure Group, Oldcastle Materials, The Vecellio Group, Barriere Construction, Superior Construction, Liberty Mutual Insurance, the Arch Insurance Group, the Laborers’ Health & Safety Fund of North America, the Texas Department of Transportation, the National Institute for Occupational Safety & Health, Virginia Tech, The Center for Construction Research & Training, Plastic Safety Systems, Wagman Heavy Civil, and Mobile Barriers. “ANSI commends ARTBA’s Foundation for achieving accreditation and demonstrating its commitment to the continual improvement of its certification program,” said Dr. Vijay Krishna, senior director, credentialing programs at ANSI. The private non-profit organization that aims to enhance U.S. global competitiveness and the American quality of life by promoting, facilitating, and safeguarding the integrity of the voluntary standardization and conformity assessment system. To learn more, visit: www.puttingsafetyfirst.org.